If you are reading this, chance are, you are very serious about learning how to meet women in the Philippines. We are so much more than simply a Filipino online personals of women seeking men like many other websites like Craigslist. Our web site and services are backed by more than two decades of successful experience and numerous offices throughout the Philippines with real, live matchmakers and staff working daily for YOU! Cebu Woman makes it easier than ever to open the door for meeting beautiful, single women throughout the Philippines in Asia. Our unique online singles website and matchmaker services offer you the chance to meet these real, marriage-minded women from Asia in just a few simple steps. It only takes about ONE minute! It's simple, fast and easy. It's your first step to meeting a beautiful Filipino woman who could be your future bride. Your registration is completely private and confidential. Again, all this only takes a few minutes. You can choose to set your customizable preferences in your member control panel and create your online profile for the women to view. 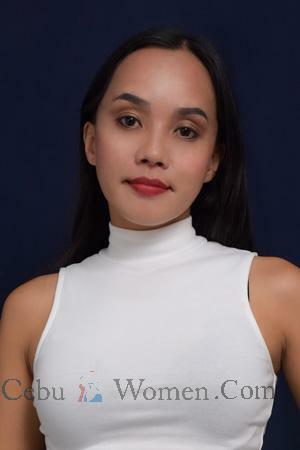 And to give you a hand, our real, live matchmakers are ready to match you with women in Cebu who are actively seeking a relationship with a man like you. We have thousands of active, verified profiles of beautiful, single Filipino women and we can all but guarantee you that there ARE women in Cebu that are definitely interested in meeting a man like you. Talk with Her on the Phone: Assuming the lady has agreed to receive phone calls, you can call her and speak with her on the phone. It's all confidential and discreet for both parties. Language is NEVER a barrier with our service. While many of the women that are registered with us speak at least fair to fluent English, translation assistance (normally included) is always available with all of our services. Our professional phone translators assist you with placing the call and translating during your conversation to ensure that you both understand each other and have a successful call. Send Her a Nice Gift: Is your new relationship going well? Do you think it’s time to take a huge step and make a gesture that shows her how much you care? Have you ever tried to send a gift internationally yourself? Sending a nice gift to the beautiful woman of your choice can often propel a budding relationship into full bloom - the next level, if you will. Our office and staff infrastructure in Cebu make sending her a gift easy, reliable and cost efficient. Choose from a wide variety of gifts that range from modest to elaborate and even get a picture of her receiving the gift! No relationship can come to full fruition unless you actually meet the woman. And you certainly can't even begin to consider marriage unless you actually meet the woman. In Cebu, it's highly unlikely she will have a visa to travel to the United States because of certain legal barriers. To facilitate this "meeting" we offer our exciting singles tours to Colombia. Group Singles Tours to Cebu: Our exciting group tours will be the romantic adventure of your lifetime that you will never forget - or regret! You can meet literally hundreds of beautiful, single, marriage-minded Filipino women in just 7 to 10 days! We currently offer Filipino Group Singles Tours to Cebu and Davao, departing several times each year. You can view our upcoming Cebu Singles Tour Schedule here. Individual Club Singles Tours to Cebu: Possibly your schedule won't allow you to join one of our Cebu group tours or, perhaps, you just prefer to travel alone for whatever reason. During your Club Tour you will meet and date the women of your choice and be fully assisted during your stay by our local staff. Find out more about our Asian Club Tours to meet the women. To register there is NO credit card required and there is absolutely NO OBLIGATION in any way!